Born on military base at Cherry Point, North Carolina, where her father was a Marine. 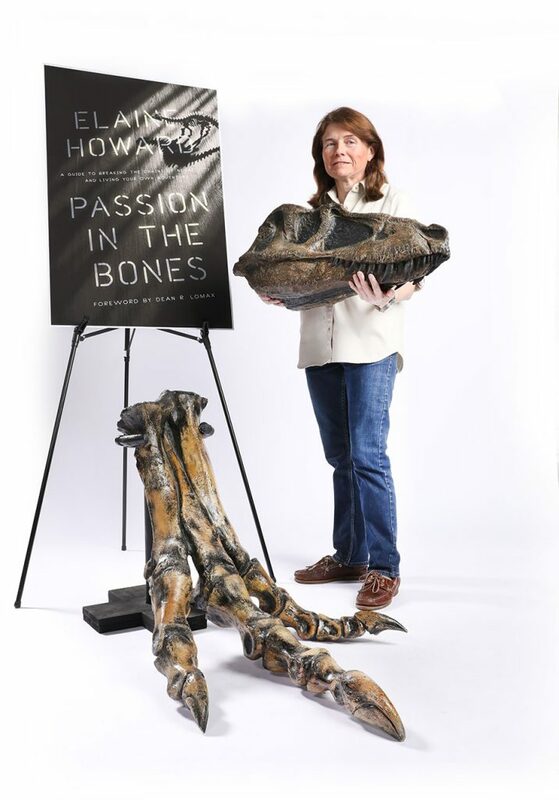 An attorney by day, her passion is paleontology. Digs with the Wyoming Dinosaur Center in Thermopolis, Wyoming. What do I enjoy most about paleontology? I enjoy meeting interesting people with whom I share a common passion for prehistoric life. At the Wyoming Dinosaur Center, I have met people of all ages—from college students pursuing a career in the field to individuals who discovered their passion for dinosaur bones only after they retired. What do I want people to take away from my book, “Passion in the Bones”? To understand the power and importance of having a passion and that it is never too late to pursue what you love—regardless of whether you turn it into a career. My current project: I continue to pursue my love of paleontology, but I’m also on a mission to help others find and sustain their own life-changing passion. My motto: Keep moving forward in a positive direction. One word that describes me: Adventurous. My hero: My father, who not only served our country in the Marine Corps but also achieved his goal of becoming a pilot even after many people told him he should give up on his dream. Best advice I ever received: Always put forth your best effort and do not worry about things you cannot control. On my bucket list: Fossil hunting on the Whitby coast in the United Kingdom with award-winning paleontologist Dean Lomax, who wrote the foreword to my book. Favorite quote: “You don’t have to be great to start, but you have to start to be great.” – Zig Ziglar.